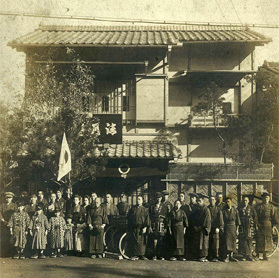 Our store was founded in Ginza 7-chome in 1907, where the main store is still located today. It is said that from the late seventeenth century of the Edo period, Chanoyu (the Japanese art of tea) had spread not only among feudal lords but also to townspeople, and that in this way Japanese sweets evolved into the ones we see today. 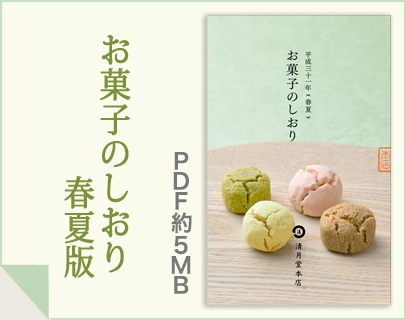 Since its founding, our store has faithfully continued to make this kind of traditional Japanese sweets. “Sweets are not there to be seen, but to be eaten and enjoyed” and “The sense of taste changes as the times change.” Based on these ideas, the founder of our store left behind the words, “One sweet for one generation.” This means to not pass the same sweet on to many generations but to create a new sweet for each generation. When we think of the current era, food safety is an especially high priority, and people are becoming more health-oriented and inclined toward low-carbohydrate diets. I also sincerely wish for our customers to enjoy tasty sweets and to be healthy at the same time. However, everything benefits from balance, and I think the key is to make moderately sweet Japanese desserts. I would like more people in the world to know that there are many such sweets, which taste great and that the world of Japanese sweets is profound. My wish is to make sweets that let them imagine our confectionery chefs’ hearts and to be part of people’s important moments such as family time or the time when they relax at the end of the day.